Welcome to the home of Stripey Tortoise. Each label category has a recommended thermal transfer ribbon to go with the label. You will also find print packs which contain the correct amount of printer ribbon to print the labels included in the pack. A perfect all in one solution. We have extensive knowledge and expertise in many fields for most applications. With our ever expanding Stripey Tortoise Range, we have the label solution for all your needs. If you can’t find the label and printer ribbons that you want, or need any help to decide which product is right for you please don’t hesitate to contact us. 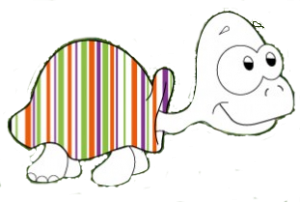 Stripey Tortoise is a very competitive range of Labels, Tags and Thermal Transfer Printer Ribbons for all your Barcoding and Over-Printing. ST10 is a very viable option when a competitively priced printer ribbon is required. The beauty of this grade is it doesn’t make any compromise on quality and printing performance. This printer ribbon provides excellent blackness and outstanding print quality for barcodes and text. This ribbon allows printing on numerous types of labelling materials such as uncoated and coated thermal transfer paper, several synthetics etc. As this ribbon is so versitile we urge you to test a sample on your material. ST20 are printer ribbons predominantly suited to typical label printing where good mechanical resistance is necessary. As a wax enhanced resin you get great printing quality, with very high smudge resistance. Ideal for standard and ladder barcodes, very small text, large characters and logos. These printer ribbons allow printing on numerous types of labelling materials such as semi-gloss/coated thermal transfer paper, and most synthetics. ST20 is a ribbon predominantly suited to typical label printing where good mechanical resistance is necessary. As a wax enhanced resin you get great printing quality, with very high smudge resistance. Ideal for standard and ladder barcodes, very small text, large characters and logos. Allows printing on numerous types of labelling materials such as semi-gloss/coated thermal transfer paper, and most synthetics. ST30 is a very viable option when a competitively priced resin printer ribbons are required. The beauty of this grade is it doesn’t make any compromise to quality and printing performance.ST30 matches all you’d expect, and more from a typical Resin application. ST40 is a resin ribbon for flat head printers. This ribbon is designed for printing care label and standard label media with resistance to washing, dry cleaning, ironing and steam pressing. media with resistance to washing, dry cleaning, ironing and steam pressing. ST70 is a speciality resin based ribbon for flat head printers. It is designed especially for care labels and is compatible with RFID technology. These printer ribbons allows printing on Nylon, Polyester and Satin. ST40 is a resin ribbon for flat head printers. This ribbon is designed for printing care label and standard label media with resistance to washing, dry cleaning, ironing and steam pressing. It will withstand the harshest industrial environments also resists petrol. Approved for direct food contact. ST70 is a speciality resin based ribbon for flat head printers. It is designed especially for care labels and is compatible with RFID technology. This ribbon allows printing on Nylon, Polyester and Satin. It is resistant to normal wear of clothes as it has good colour fastness in water, and dry cleaning fluid. It is also resistant to bleach, ironing and UV light. ST50 is a wax resin ribbon predominately used for printing directly onto flexible packaging. This ribbon for packaging is used at very high speeds to produce batch numbers and date codes mainly for food sector, but can be found in other industries for example engineering. This ribbon offers great smudge resistance as well as heat resistance. We sell a variety of labels available on a roll. These include STFR fire retardant labels for use in the aviation and automotive industries, STX iron on labels which are perfect for labelling school uniforms, as well as workwear and STPE Polyester labels. Polyester Labels are 3M Material with a High-Tack adhesive covering a vast range of applications. We sell a variety of labels available on a roll. These include STFR fire retardant labels for use in the aviation and automotive industries, STX iron on labels and STPE Polyester labels. Polyester Labels are 3M Material with a High-Tack adhesive covering a vast range of applications. STSE The Stripey Tortoise Range of Shelf-edge labels are ideal for retail, promotional and logistic tags.We produce in two formats – Thermal Transfer or Direct Thermal. Applications include: Shelf-Edge Tagging, Transportation Tickets, Exhibition Tags, Admission Tickets, Swing Tags, Cashier Receipts Although sold by the box for desktop printers (25 mm or1″ Core) we can supply on 79mm (3″) Cores and 19mm Cores. STLP The Stripey Tortoise Print Pack guarantees no ‘Tortoise and Hair’ situation – (labels finishing way ahead of the ribbon). We also can’t be certain of a photo-finish between the roll of labels and ribbon. However, it will be a close call. So although no Gold Medals on are offer – in our eyes, with the Stripey Tortoise Print Packs everyone’s a winner. The sizes we’ve chosen are based on popularity of sizes gained from 20 years of sales within the barcode and over-printing Industry. We’re constantly updating the range – both materials, adhesives and sizes. If you need both ribbon and labels this is the best solution for you. What’s the difference between Thermal Transfer and Direct Thermal Labels? A Thermal Transfer Printer uses a ribbon, this gets transferred onto the label or tag by heat. Also, apart from the customary black print, you can also print with a coloured ribbon. How cool’s that? A Direct Thermal Printer doesn’t use a ribbon, think ‘old skool’ fax machines. So the paper (or Polyprop) needs to be activated. The word ‘activated’ to me usually gets associated with software on a PC. However, it does help me remember which printer to use for my label. These labels have shorter shelf-life and over period of time the labels will darken, mainly when the surface gets scratched, or is exposed to sunlight and heat. These labels have longer shelf-life and if correct ribbon used, can withstand some pretty serious conditions, environments and temperatures. So if I’ve got my Thermal Transfer shell on….. I can print my labels or tags on loads of different materials papers and films. Information will remain clear for a decent period of time and remain pretty legible even in adverse conditions. This is especially important for some barcoding printing as it is important to retain all of the information. Colour ribbons enable me to print in colour although there is a limit to the range of colours. Alas, no ‘checking in with trends’. These ribbons are great for small barcodes on small labels asset tracking, security etc.